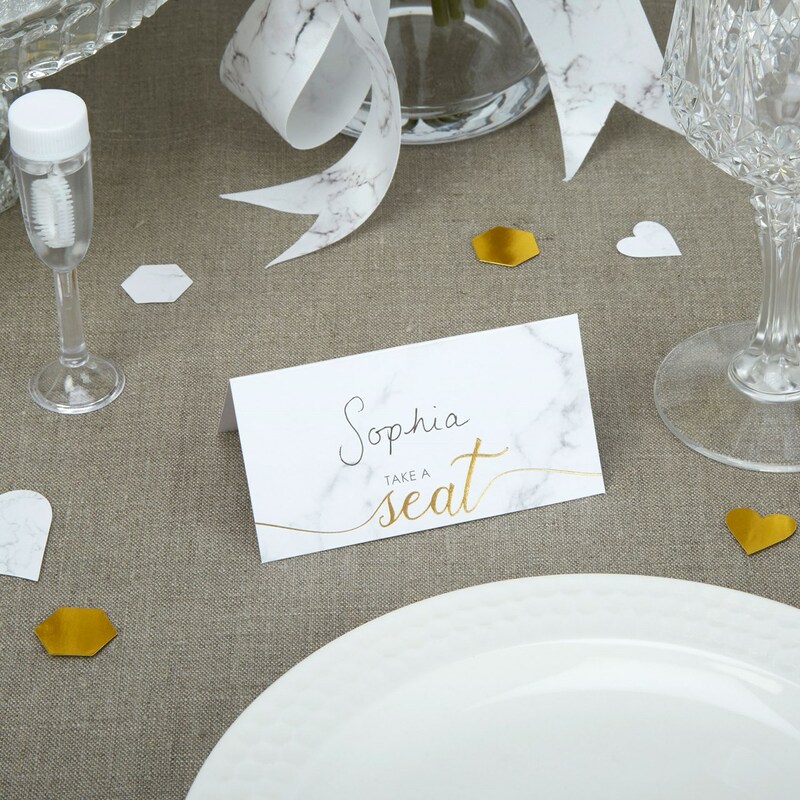 DescriptionShow your guests to their seats with these chic marble effect place cards, made from high quality materials with beautiful calligraphy-style lettering in gold; simply add your guests’ names and mix in with your other table accessories. Each pack contains 25 Place Cards. Show your guests to their seats with these chic marble effect place cards, made from high quality materials with beautiful calligraphy-style lettering in gold; simply add your guests’ names and mix in with your other table accessories. Each pack contains 25 Place Cards.